Well, after 339 miles and 70 hours spent in training (isn't that a crazy high number!? 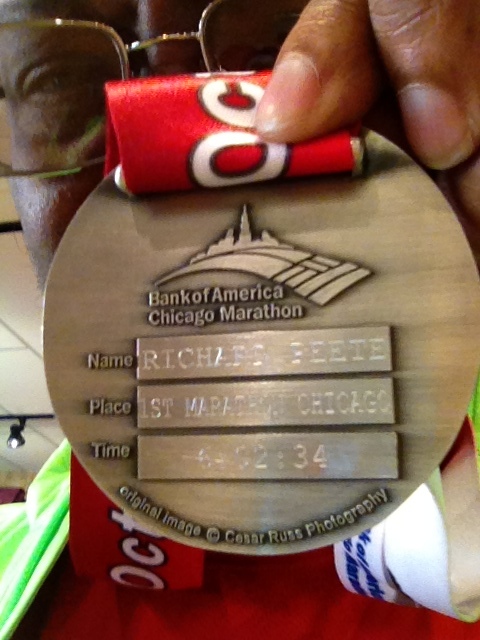 ), my major running goal of 2012 was finally achieved! I can now say in a loud voice "I AM A MARATHON FINISHER!" Oh, how I have waited to be able to speak those words! Runners World statistics state that in 2011, there were 551,811 people who finished a marathon in the United States, representing 0.5% (one half of one percent) of the U.S. population. It is kinda cool to know that I am now part of that small percentage of folks who successfully moved their bodies through 26.2 miles. Note: This is a LONG race report. Sorry about that. It was my first Full and I couldn't figure out what to exclude. So grab a cuppa and a pastry before continuing. hee hee! 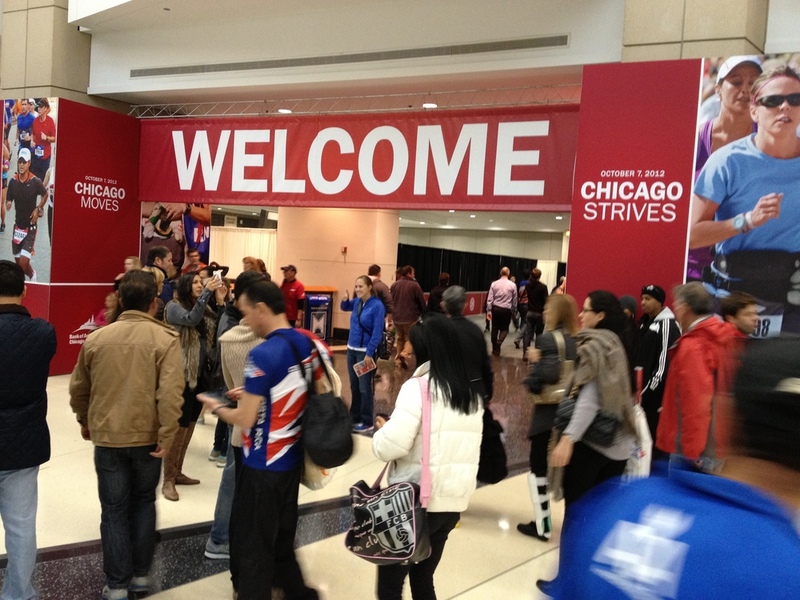 The experience started with the Health and Fitness Expo held at McCormick Place in Chicago. I went there on both Friday and Saturday. 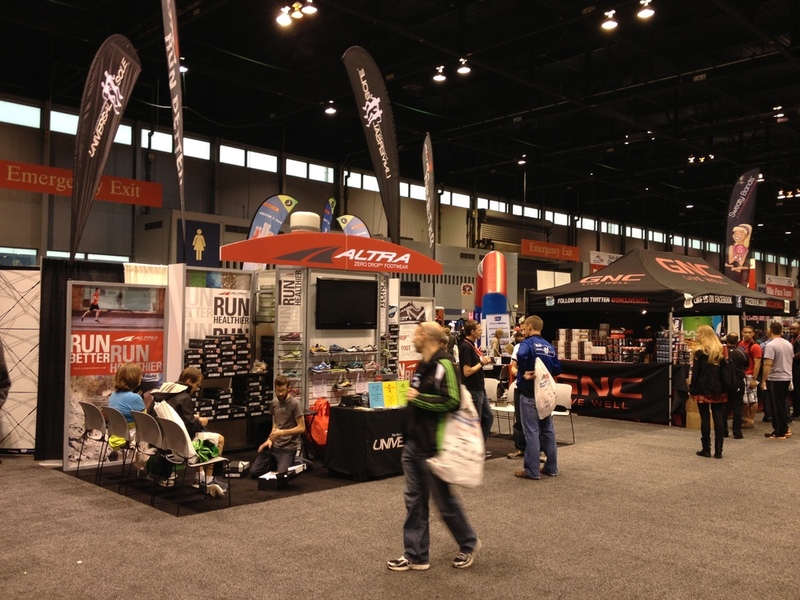 Friday to pick up my race packet and to see all the vendors and whatnot. I kinda wanted to have that moment for myself. On Saturday I went again, this time with my wife Christi and my buddy Mike to make another pass through the booths and to meet up with my friend Beth (who came from New York to run the race with me). 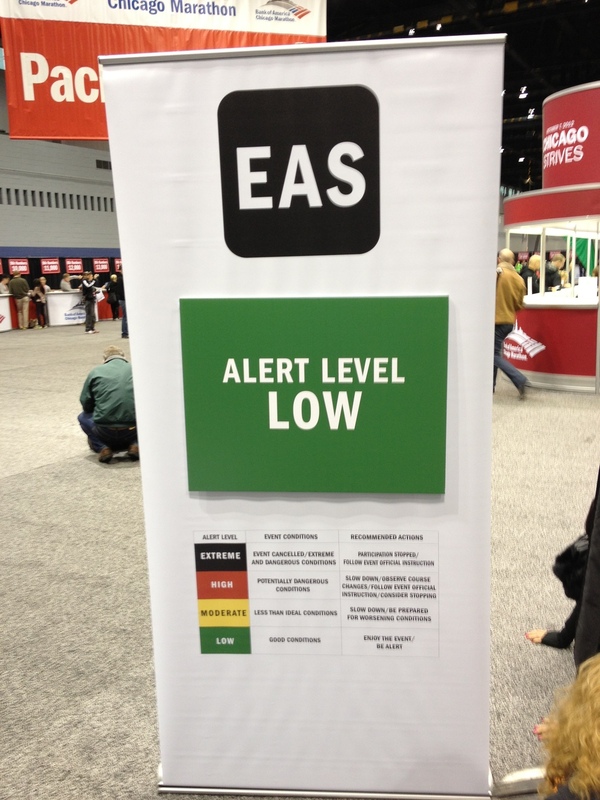 The Expo was HUGE! 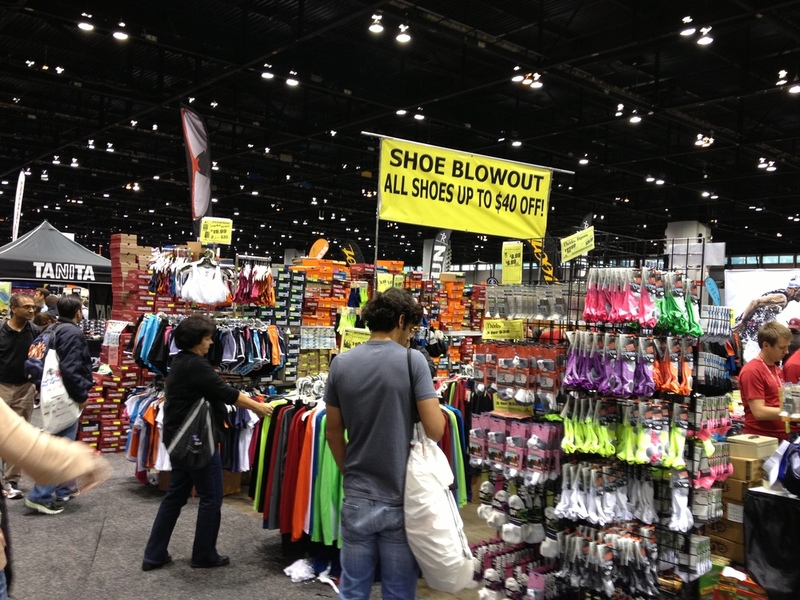 It took me at at least two hours to go through all the booths. I ran into my friends Jennifer, Louisa, and Crystal from the Diocese of Chicago (actually, they found me... as I was talking to the folks at the Polar booth). That was a nice surprise! Later, I found my cousin Debbie volunteering at the D-Tag Verification station and ended up helping people test their D-Tags as we talked. 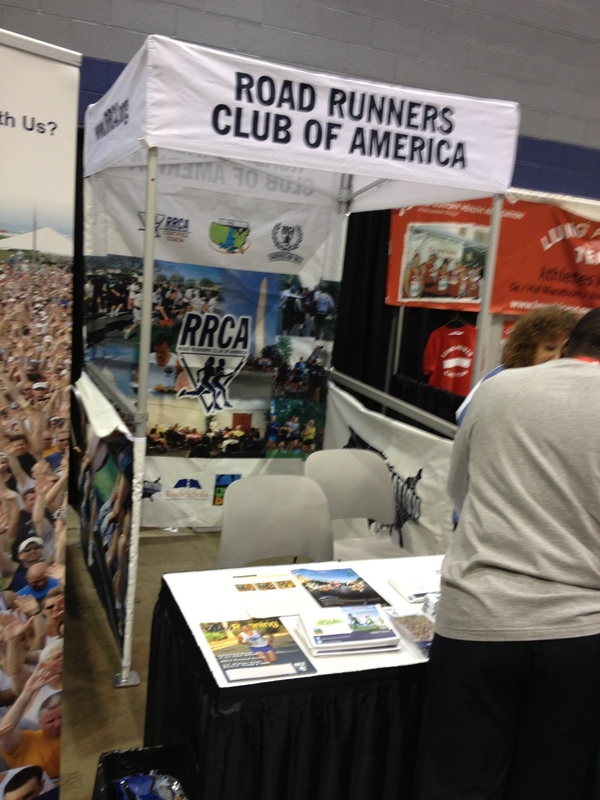 On Saturday, we stopped at most of the race booths and many of the vendor booths looking for deals and freebies. 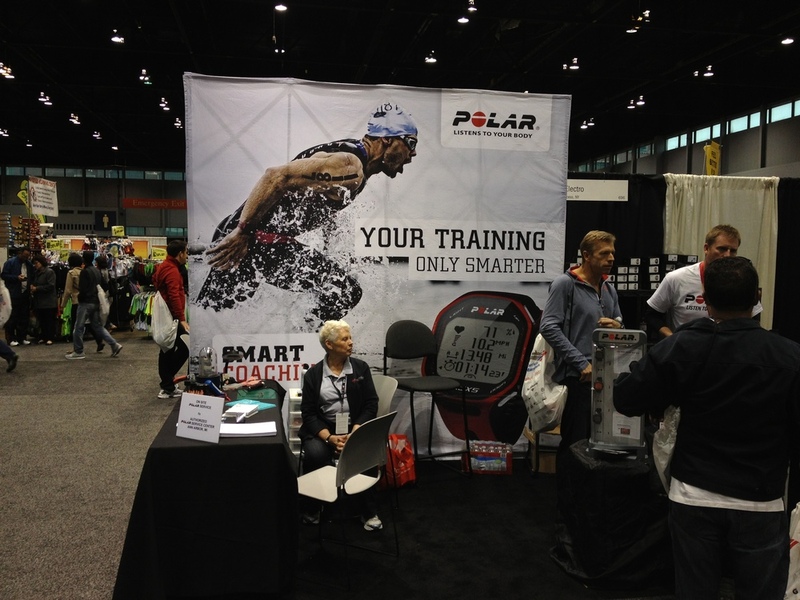 We ran into Beth as she was getting ready to leave the Expo.... good timing! It was great to see her! BY the time my Expo wanderings were over, I had purchased a nice Chicago Marathon running jacket and hat, a new pair of SnuggBuds, some neat running socks, and a Chicago 26.2 car magnet! Then Christi and I checked into the Hyatt hotel for the day before the race (I didn't want to have to deal with race day stress around driving, parking, etc. Plus, it was a nice getaway time for us. So what did we do? I made her watch the "Spirit of the Marathon" documentary movie with me! I wanted her to have a sense of what the race means to those who run it, so that she would maybe understand why this was so important to me. Later, we had a nice pasta dinner at the restaurant. Afterwards, I laid out my gear, used the good ole Foam Roller one last time, and got to bed around 9:00pm. The iPhone alarm wakes me up at 4:00am. We both get up because Christi was volunteering at the Water Station at Mile 10.5 and she had to be there by 5:30am. We packed everything into our car at 5:10am (we had to checkout before race time) and she grabbed a cab to her station. I went back upstairs to finish getting ready, pack my gear bag, and grab a shuttle to the race. Once at Grant Park, I met up with the Marathon Maniacs and Half Fanatics who were planning on taking a group photo at 6:30am. Did I get there in time? Nope! Oh well, but I did have a photo taken of me with the legendary Nadia Gonzales! Talk about an inspiring person! She has given me a lot of encouragement throughout my journey, and it was an honor to finally meet her. I also met May Liao there, a fellow Half Fanatic who was also there to run her first Full Marathon. We had corresponded via FaceBook so it was nice to finally meet in person. And of course, I got to say hello to the infamous Dave Mari. Then it was off to the Balbo Hospitality Tent (money well spent for that), where they had food, water, private porta-potties, private gear check, tables and chairs, and HEAT! THe temps were around 34F (perfect for race day) so being able to chill out in a warm tent watching the TV coverage on large plasma TVs was greatly appreciated! But eventually, I had to leave for Corral "L" and wait for the Wave 2 start at 8am (Wave 1 started at 7:30am). The corral was crowded but I was able to work myself up towards the beginning of the crowd. There were clothes all over the ground already from people shedding their warm layers prior to starting off. I decided to wear Compression Pants, shorts, a long-sleeve tech shirt underneath a short-sleeved one, a hat, gloves, and SteelWool socks along with my Brooks PureFlow shoes. I enjoy wold weather running! I ended up standing next to Captain America and Wonder Woman -- full costumes and all! By the time we got to the Start Line, it was 8:19am. I tossed off my outer jacket and my race began! I had a plan for the race. I did not want to run with a pace group but I needed to keep myself from starting out too fast and burning out later. So I set my watch with a desired pace range of between 11:00-12:15/mm. If I ran outside that range, the watch would beep at me as a warning. The other part of my plan was to "enjoy the race." 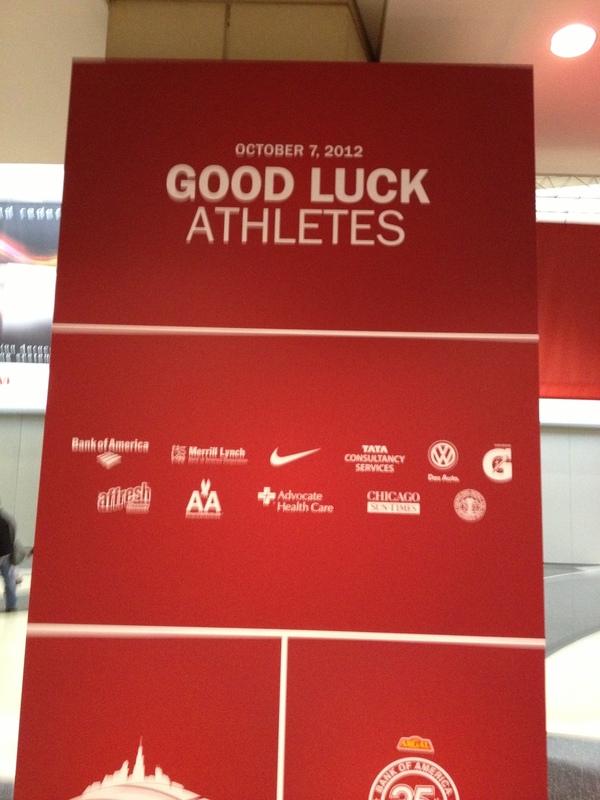 I mean Chicago is my hometown, so running the Chicago Marathon was a "must-do" goal! I did not want to be so focused on my time and the distance that I missed the chance to enjoy seeing Chicago, especially since we'd be running through 19 neighborhoods -- many of which I have never visited. The sights and sounds of the city were magnificent. and the CROWDS were AWESOME! I cannot even begin to describe the sheer number of spectators that were lining every street along the course, screaming out cheers and encouraging words, handing out water bottles, twizzlers, pretzel sticks, Jolly Ranchers, oranges, you name it. 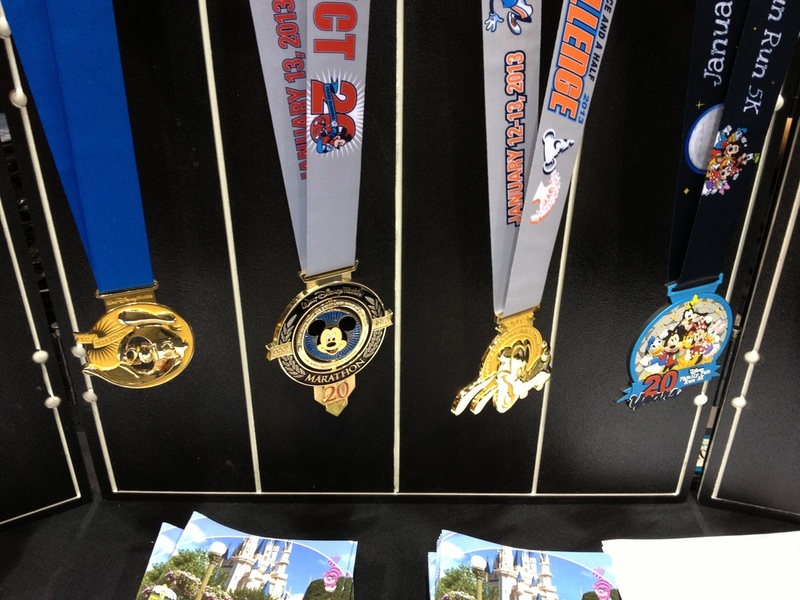 I haven't run any other races this large outside of Disney, but I have to believe that this was uniquely amazing. There is nothing to prepare you for the onslaught of positive vibes and sheer energy that comes off the crowds. Several people told me to put my name on my shirt because people shout out your name and cheer for you all along the route. I figured they were exaggerating. Ah, NO! They were exactly right! People from everywhere were cheering for me "Go Rick! You got this! 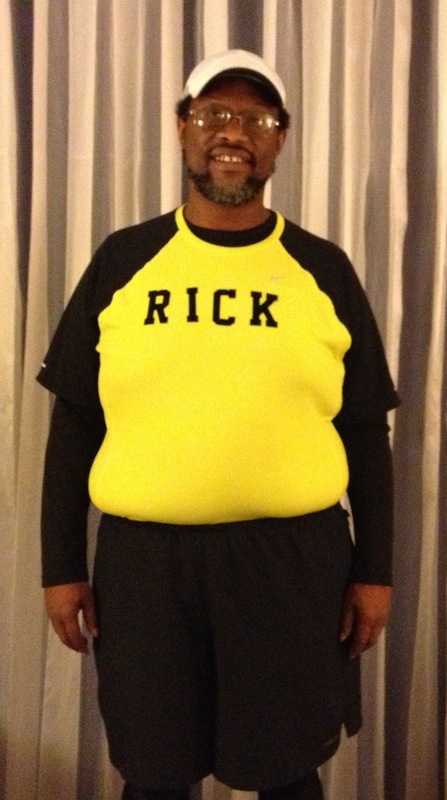 Looking strong, Rick!" Of course, their enthusiasm fueled me to keep going! It was electric, and I was loving every minute of it. At this point, I need to send a HUGE shout-out to many friends who were there to support me (and others) on the course. 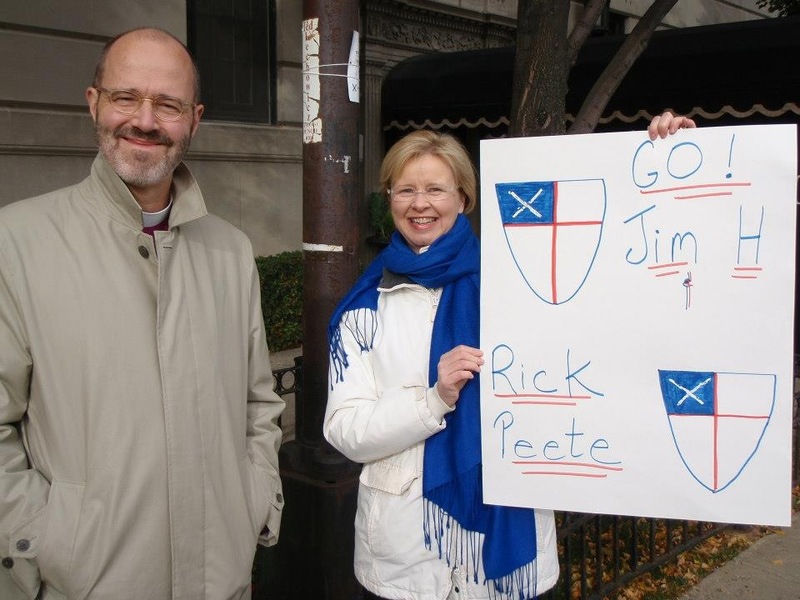 At Mile 7, I saw my Bishop and his wife holding a large poster with my name and another Episcopalian runner. How awesome was that! I got a double high-five from them and was all smiles! Then at Mile 10.5, I saw my wife who had a big sign as well (I never saw her with it at the hotel) and my buddy Mike was there. Mike then ran with me for a little bit (thanks Mike, that was so cool!). At Mile 16, I got a hug from Jennifer who was working at the Water Station there. At this point, I was having a lot of pain in my right foot due to a callus behind my pinkie toe that was really complaining. So I was run/walking to give the foot some relief. 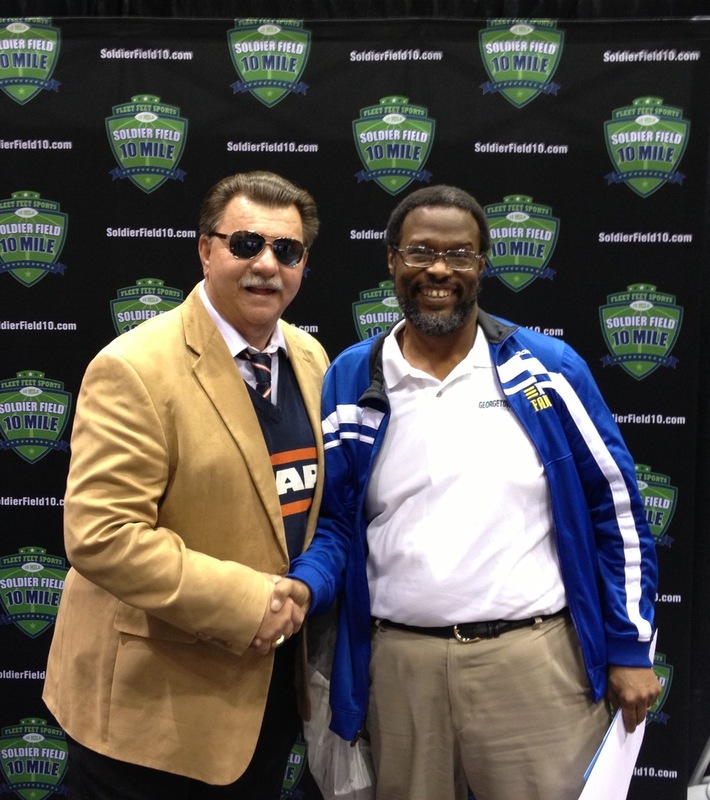 It was good to see a smiling face who knew who I was! As I ran, I kept praying "God, if you take care of the foot, I will take care of everything else." I prayed that a lot between Miles 16 and 23! At Mile 20.5, I heard someone calling my name. I turned to see Louisa Hallas and KClare Kemoch waving and coming out towards me. I was tired and walking, but Louisa came over, put her arm around me and encouraged me! She told me "This is the wall, Once you push through, you've got this!" She got me running and stayed with me for a while. I, who was once her mentor, was now the ;'mentored'. Thank you, Louisa! I love you more than you can know! Somewhere after Mile 22, my right calf starting tightening up. I had to go over to streetlight to do some stretching to calm down the twitches. The stretching helped and I got myself moving again. At Mile 23.5, I saw my angel in the form of my cousin Debbie Grant. She was at the corner of 35th and Michigan and as she came out to greet me, she asked "What do you need?" I said "To keep moving forward." She put her arm around me, handed me a water bottle, and we proceeded to walk and then run for the next mile together! She had this foam core sign that read "Go Rich Peete Go! Your Family Loves You!" It was awesome! Debbie, you are a total class act and a great family ambassador! The last 1.5 miles were the most fun. I knew I was going to finish this race (well, I knew that after Mile 22 but still). I had tapped into some energy, a second wind! 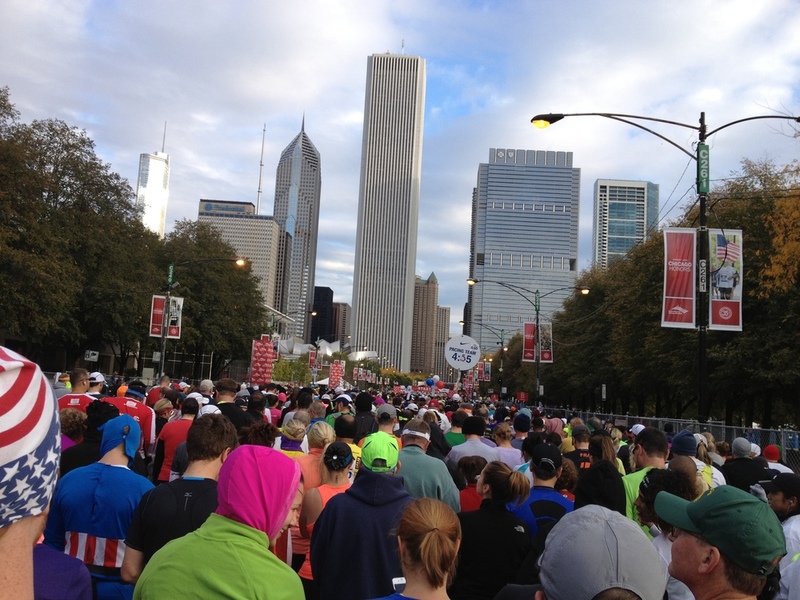 The crowds were still cheering me on, and for a while I was with a co-worker friend of mine from Follett named Rodolfo. He caught up with me at Mile 17 and we had been passing each other back and forth along the course. It was nice running with a buddy! 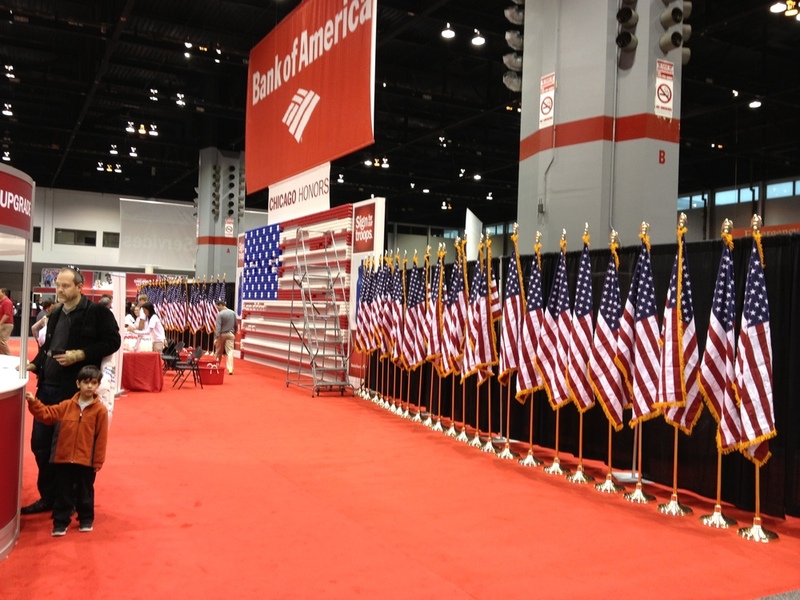 At one point, someone handed me a Bank of America Marathon mylar blanket so I had draped it across my shoulders like a cape. I felt like I was 'channeling' some Endorphin Dude as I ran the last 300 meters to the Finish Line. And it was awesome to see both Mike and Christi along that final stretch, cheering for me! All the work, all the training, all the sweating, all the pounding had not been done in vain. I was feeling all kinds of emotions as I got a banana, water, etc. But when the woman put that medal around my neck, I broke down and cried. I couldn't help it. I pulled myself together by the time I got to the 3-1-2 Beer station though -- I wanted my free Wheat Ale! As I walked, sipping the beer while getting my goodie bag and other stuff, I finally felt like a 'runner'. I walked back to the Hospitality Tent, got my gear bag, and had to call Mike to find him and Christi inside the tent. Oh did sitting down feel great! Mike got me some good (Turkey sandwich, cookies, chips, water, etc.) while I dug through my gear bag so i could change into dry clothes and take off those running shoes! I just kept telling them "I just can't believe I did it." Eventually, the three of us grabbed a cab back to the Hyatt where the car was. I got in the back seat and laid my legs across the seat. Ahhhhhh!! We drove Mike to his car, and then headed for home, where I faced my first test: getting 'out' of the car and walking up the 3-4 steps into the house, followed by the stairs to the second floor to our bedroom. Surprisingly, I was able to do it without wakling backwards or sideways! After a nice long shower and clean clothes, i just relaxed, watching TV and getting caught up on FaceBook posts. On Monday, I got up and was feeling really good. The feet and legs were tired but not in pain! I could walk normally and even handled the stairs with no problem! I went to got a nice 1hr massage at the LifeTime Spa and headed to pick up Beth so we could get our medals engraved at Fleet Feet and have lunch at the Flat Top Grill. After dropping Beth off at the airport, I went back to Fleet Feet to pick up my medal and ran into May Liao who was waiting for hers! So we had a chance to reconnect and share our race experiences. That was very cool! Then I visited some running friends before finally getting back home at 8pm!! The last two weeks before the race, in the middle of tapering, I was filled with self-doubt. I was so worried I wouldn't be able to finish the race. I felt I did not have the mental toughness or stamina, or that I was going to hit "the wall" and not be able to continue. But what people told me was to 'trust in your training' and that it would all be fine. Well, they were right. I had trained well. I had put in the time and the mileage necessary. I had a good hydration and fueling strategy (which I followed). I had a pacing strategy that worked. 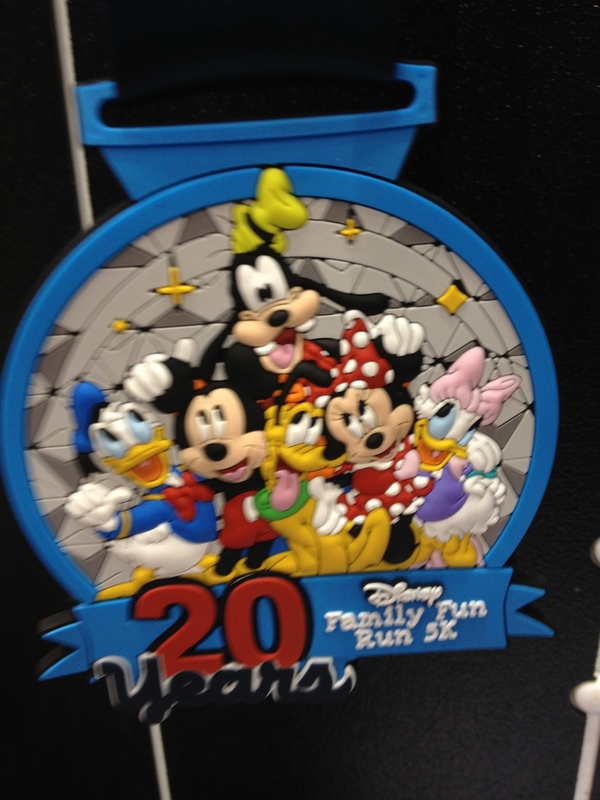 In fact I ran the first Half in 2:36 which was pretty much were I wanted to be. If I hadn't had that foot problem, I might have finished a lot sooner. But the key thing was that I made the necessary preparations, thought through my strategies, and followed through. I noticed that once I got into the corral, I felt fine. The nervousness disappeared. I was THERE! I was READY! All I had to do was follow the plan, enjoy the run, and enjoy the experience. There was no point in worrying any more. So I finished the race in 6:02. A good 1/2 hour longer than I had planned but that was okay. Because the primary goal was to "Finish the race, standing upright and feeling strong". And I did that! I am still processing this experience. I am still reflecting on what that Finish Line means to me, and how it will change, define, and direct me in the future. 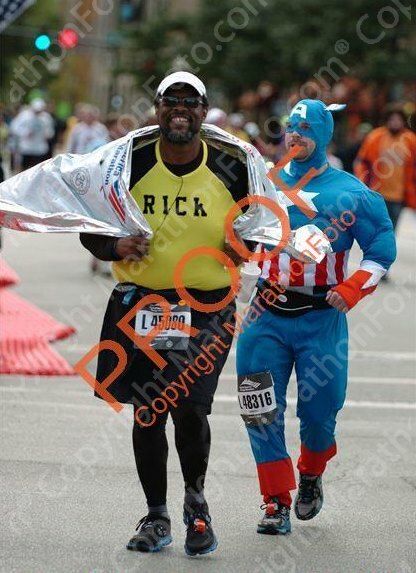 I look back at April 2010, when I was 351 lbs, diabetic, and absolutely unable to run more than 50 ft without gasping for air, and it is hard to reconcile that Rick Peete with the Rick who just finished the Chicago Marathon. I am such a different person now, certainly a lot healthier and more confident! If I can go from 'that sedentary guy' to 'Marathon Finisher', what else can I achieve? I can't wait to find out! Posted in Marathon, Races and tagged with Marathon, Races. October 10, 2012 by Richard Peete.